If you are planning to visit England in 2019, you would be smart to look beyond its capital city of London. If you love the idea of viewing rolling green hills, exploring quaint villages, and snapping photographs of historic architecture, you need to look beyond the big cities and immerse yourself in rural England. To breathe in picturesque views, charming buildings, and diverse landscapes, here are the prettiest places to visit in England. Such locations are filled with English charm and unwavering beauty. 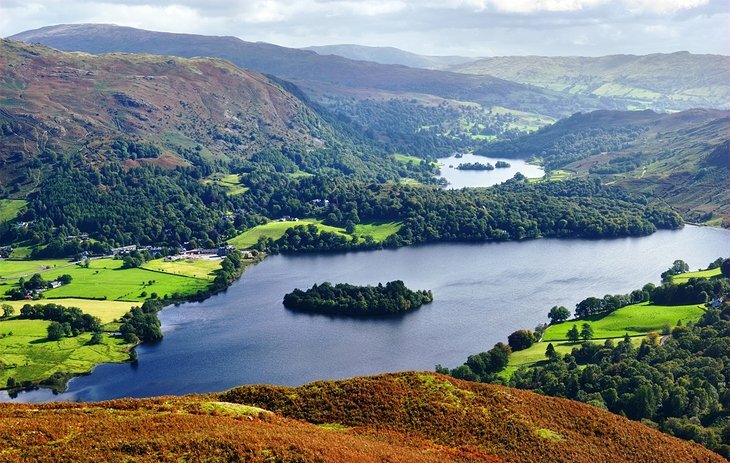 The Lake District has recently been awarded UNESCO World Heritage Site status due to its natural beauty. It is the ultimate destination for those wanting to experience the beautiful countryside that is so synonymous with England, as it is home to many tranquil bodies of water, tiny villages, charming country pubs, and breathtaking mountain ranges. Highlights include the Highgrove Estate, the private residence of the Prince of Wales and The Duchess of Cornwall, which is open to the public. You also shouldn’t miss Corsham Court, which is a former royal manor that offers stunning gardens that were designed by Capability Brown, a notable English landscape architect. Offering beautiful landscaped gardens, ruined medieval monasteries, and historic Tudor properties, you would be hard pressed to find a better county to visit than Surrey, which is full to the brim with picture-perfect market towns, such as Godalming, Farnham, and Guildford. There are also many superb attractions you will not want to miss in the county. For example, top of your to-do list should be the town of Weybridge. Not only does it offer superb views of the River Thames, but it is also home to Thorpe Park Resort, Brooklands Museum, and the beautiful Bushy Park. Plus, those looking for a great British pub should drop into The Flintgate, which allows visitors to sample a variety of real ales, real ciders and keg beers from some of the best independent breweries in the UK. One beautiful destination you will not want to overlook during a visit to England is Cambridge, which dates back to 1209. Once you arrive in the university city, you should climb the tower at the Church of St Mary the Great, which will offer spectacular vistas over the city. Every tourist must also explore Kings College and its beautiful chapel, which still features graffiti from Oliver Cromwell’s army. You also can view a large wooden screen, which was a gift from Henry VIII to his second wife, Anne Boleyn.